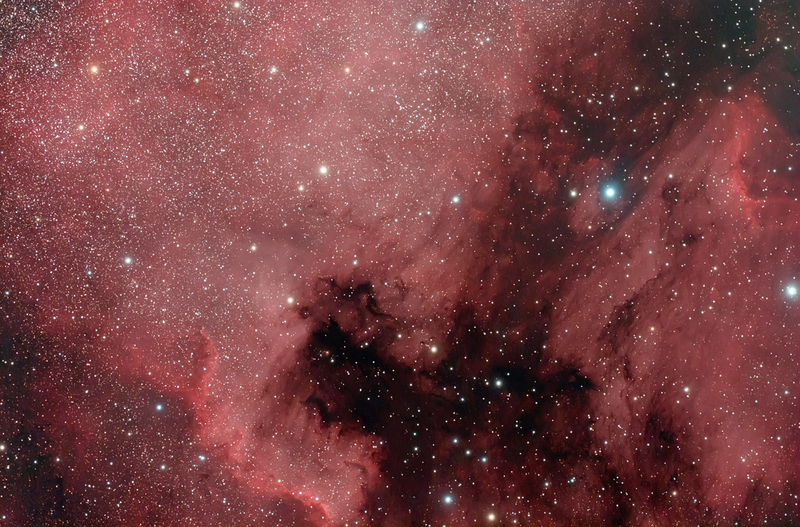 The North America Nebula (NGC 7000 or Caldwell 20) is an emission nebula in the constellation Cygnus, close to Deneb (the tail of the swan and its brightest star). The remarkable shape of the emission nebula resembles that of the continent of North America, complete with a prominent Gulf of Mexico. The North America Nebula and the nearby Pelican Nebula, (IC 5070) are in fact parts of the same interstellar cloud of ionized hydrogen (H II region). Discovered by William Herschel on October 24th 1786 from Slough England.